The NBA held its draft lottery Tuesday night and the Minnesota Timberwolves came away with the top pick of the 2015 draft. This marks the first time in franchise history that the team would be making the first selection in the NBA Draft. The pick comes in another deep draft class, which should bring in another good player to pair with the last two first-overall picks and other lottery selections in the past few drafts. The Wolves “won” the best chance (25%) of winning the first selection of the draft after a 16-66 record this past season (that’s a lot of losing). It has been well documented that the Wolves have never been able to move up during the draft lottery. They missed out on the first pick in 2011, even though the had the worst record, because Cleveland swooped in to win the lottery and draft Kyrie Irving, while the Wolves ended up with Derrick Williams. Last year, the Kevin Love trade brought back the return of first-overall pick and future Rookie of the Year Andrew Wiggins, along with the 2013 draft’s first pick Anthony Bennett and NBA vet Thaddeus Young (who later on turned into Kevin Garnett, NBA sherpa). The Wolves could be a great homegrown team like the Oklahoma City Thunder of a few seasons ago if things can pan out right. The struggles with injuries to almost every key player in 2015 led to this draft position after hopes were high the team could use the infusion of young talent to make up for the loss of Love. The favorite players for the Wolves to draft are Duke Center Jahlil Okafor and Kentucky Center Karl Anthony-Towns. 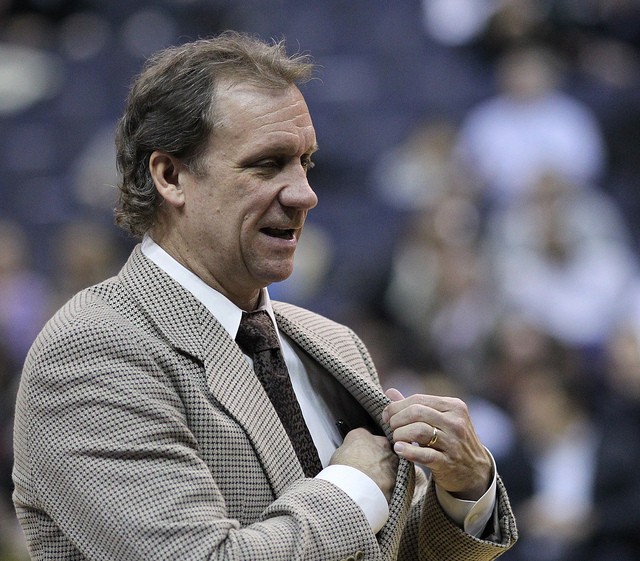 Either way, the Wolves will end up with more talent than they have had in years, and it will be up to coach Flip Saunders to utilize it (and with luck limit the injury bug). The Wolves will make their selection June 25, followed by the Lakers, 76ers, Knicks and Magic.